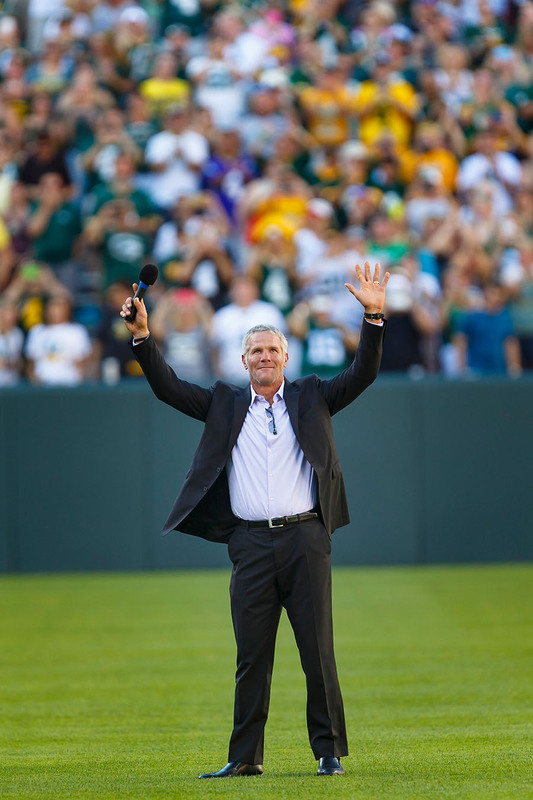 Saturday night, I covered the return of Brett Favre to Lambeau Field in Green Bay, Wisconsin. 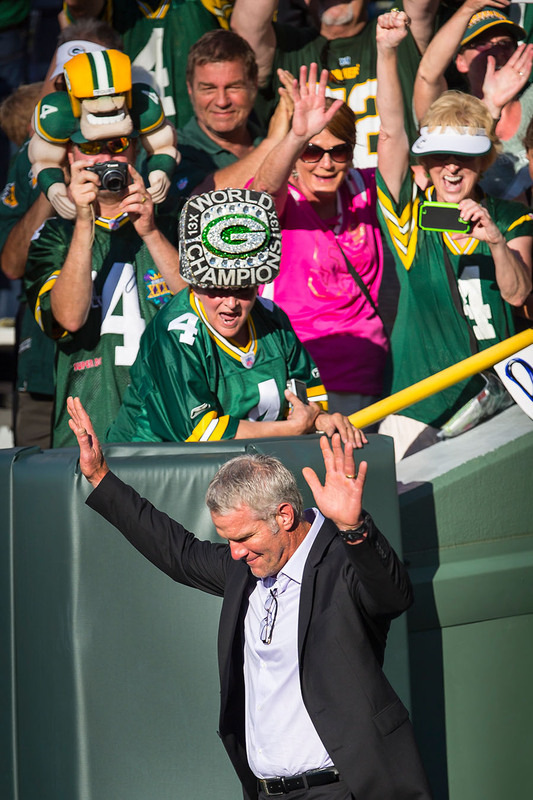 It was great to see Brett back in Green Bay. 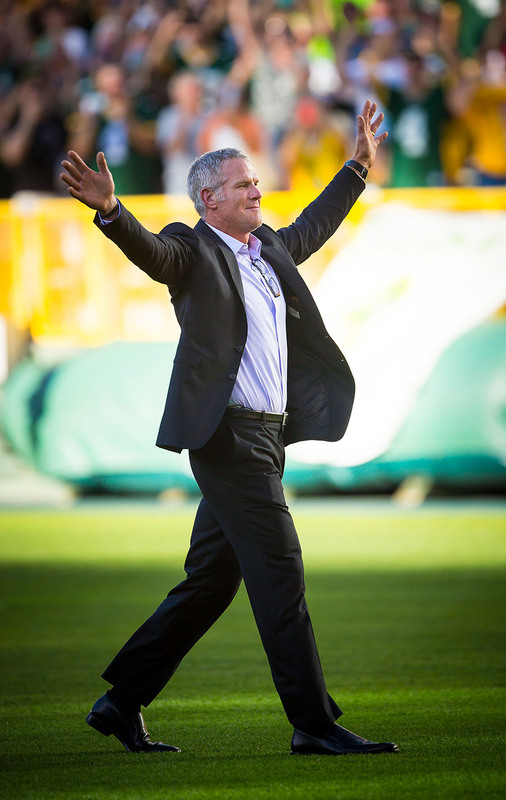 Favre holds the NFL record for consecutive starts at 321, including playoff games; he won three NFL MVP awards and guided the Packers to two Super Bowls, winning the one for the 1996 season. 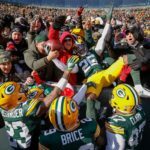 I moved back to Green Bay in early summer of 1996 and covered a ton of practices, press conferences and all the home games that magical season. 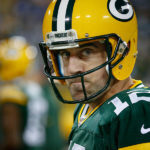 It was an exciting time to be a sports photographer in Green Bay. 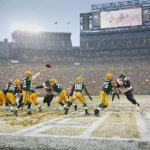 I went from covering high school and division 3 college sports to covering a Super Bowl season. 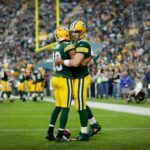 I was also there during the turmoil of Brett retiring, unretiring, getting traded and then coming back here in a purple jersey to compete against the Packers. That was some crazy times. I also did some work for a few advertising clients with Brett. In the summer of 1997, Mt Dew hired me to shoot a point of purchase campaign with Brett spraying a two liter bottle of Mt Dew in celebration. The next shoot I did with Brett after that he referred to me as “Just One More Shot”. I also remember he freaked out my vegetarian hair and makeup stylist while talking with her about what he was going to have for lunch that day by saying “I always gotta have some dead animal on my plate”. 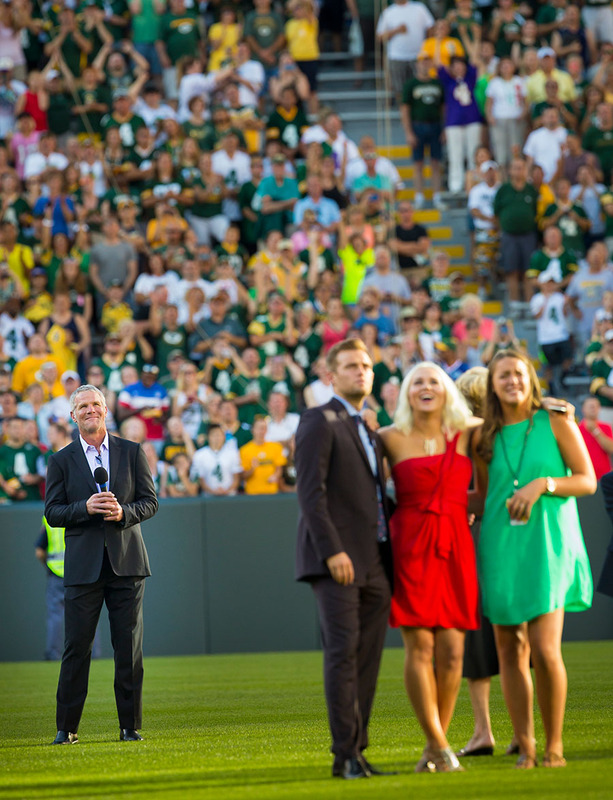 So, here are some of my favorite shots of Brett, his family and Packer fans enjoying his return to Lambeau Field.